This week, Instagram swagger jacked Snapchat and essentially stole instant video-sharing app’s entire platform and created its own version called Instagram Stories. 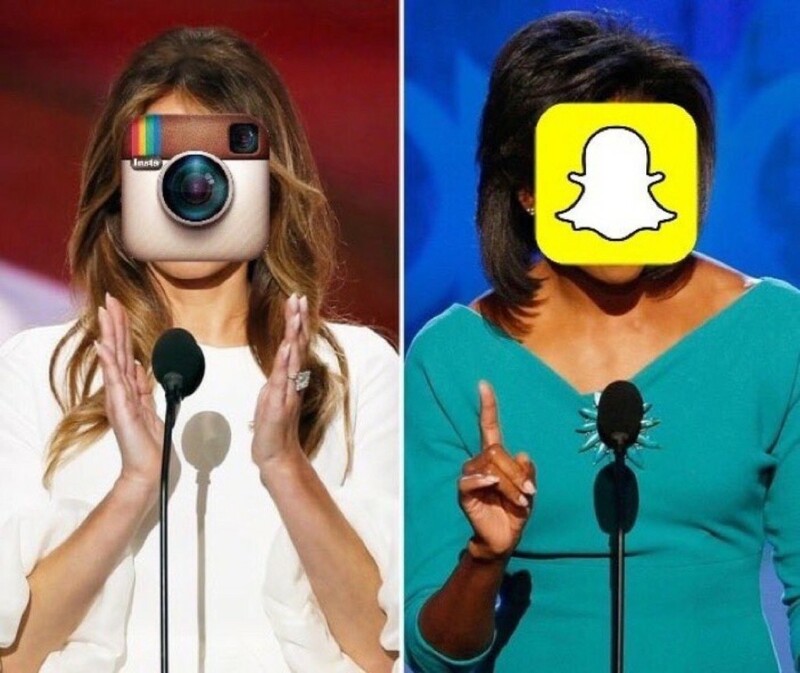 Now that IG has a half a billion members, it will naturally lure away some of the 100M daily users of Snapchat. Actually, Instagram targets a broader audience given that 70% of Snapchat users are under 35 years of age. The celebrities on Instgram have millions more followers than they do on Snapchat so we think, naturally, the brands will gradually shift more and more of their ad dollars over to Instagram Stories. Will it be the end of Snapchat? Probably not. Snapchat’s youthful users will probably be relieved that they get their space back. Before this week, slowly, older users were navigating over to Snapchat and finally starting to use it more— at least long enough to take a Coachella Floral Crown or a puppy filter pic. Here are the best reactions to the swagger jacking we saw on Twitter. Gotta love Twitter. Even if it is flailing in terms of growth, we know we can always count on it for humor.